There is a running joke in our house that Alfie is destined to be an accountant: Not because of his freakish ability to do mental arithmetic but because he rejects every attempt to fill his life with awesome in favour of being painfully sensible. 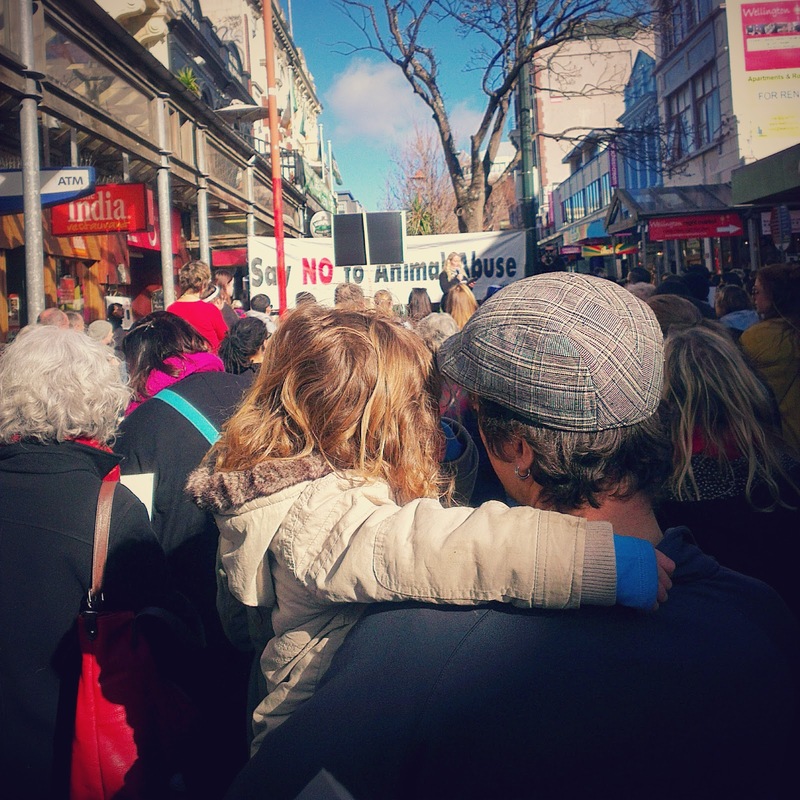 In the 4 years and 9 months since his birth, Alfie has been on 5 protest marches. That’s one more than I have managed in 36 years. He enjoys the chanting, and he is happy to hold signs, but you can tell his heart isn't really in it. You could say that he’s humouring us. It doesn't bother me - I spend most of my life being humoured by people who can’t decide whether they are laughing with me, or at me – but as he has started taking notice that most families don’t spend their weekends standing around with placards it seemed like a good time to offer him an explanation in the time honoured medium of the blogger; the letter. As you sit in your papa’s arms, listening to another impassioned speech, I know that you are starting to become aware that you are part of a family who speak their mind. It's a compulsion spawned by three basic truths that guide me and your father: I want to share what they mean to us. 1. There are events in the world that are bigger than you. You are blessed to live a very comfortable life free of suffering, poverty or oppression. No, refusing to buy you another Lego set does not count as oppression. If we wanted to, your papa and I could protect you from the knowledge that there are children just like you dying from poverty and war, or animals being illegally driven to extinction, or a generation of women being driven to depression for the benefit of corporate profit. We chose not to do that. Your father and I want you to know that there are big and important things happening around you, some of which are unpleasant and unwelcome. You have a place in the world son, and what that place will be is for you to decide, but you don’t exist in a vacuum. Pay attention to the headlines you read, even if they are happening on the other side of the world. Pay more attention to what they don’t say. 2. People care about those events, and caring means you DO something. When I was a young girl, my teacher read out a poem by a man called Martin Niemöller which even today guides my life. You may think that this poem doesn't apply to you, because you have never seen soldiers taking away your friends because of God they worship, but you would be wrong. There are so many things on this earth that humans are getting wrong, and if they hurt your sense of justice then do what you can to change it. Even if your protest is symbolic (and let’s face it, standing around for a few hours looking annoyed is symbolic at best) it is still worthwhile. Take the “moral engine” that Eve Ensler wrote about and plant it in your heart and mind because while caring is important, it is not enough to make a difference. 3. Freedom comes with responsibility. What makes a difference is using your voice, because the freedom that has been gifted to you by birth also comes with a duty. Use your voice to represent those who cannot speak for themselves. Be the boy who challenges the oil company, be the man who stops a slaughter. Take your voice and make it count. Take your passion and start a riot. Change the world Alfie, be magnificent.